Questo è il giorno 4 di un fantastico blog hop che è iniziato Lunedí , una collaborazione tra CAS-ual fridays e Add A Little Dazzle team! Add a Little Dazzle è uno shop on line che vende bellissimi fogli metallici, ideali per abbellimenti di card, scrapbooking album e quant'altro - si tagliano facilmente con le forbici o anche con le fustelle (anche quelle sottili!). Un ringraziamento va quindi a loro per averci dato la possibilità di giocare con i loro fogli metallici! 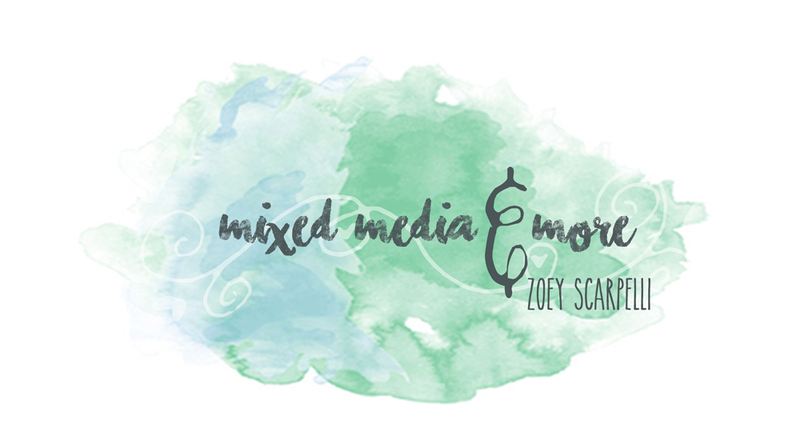 Se siete arrivati qui dal blog di Add A Little Dazzle - siete nel posto giusto! Altrimenti vi suggerisco di cominciare il blog hop partendo direttamente dal blog della CAS-ual Friday e seguire passo passo l'intero blog hop! Lasciando un commento sotto ogni partecipante potreste vincere ricchi premi! Cosa aspettate?! Ed ecco cosa ho creato io! Ho usato il 4 Petal Set Fri-Dies per creare delle farfalle. Come prima cosa ho tagliato il fiore grande, poi quello piccolo e ho tagliato a meta' entrambi i fori. Ho incollato una metà grande ed una metà piccola insieme in modo da formare piccole farfalle. Ho decorato aggiungendo del filo metallico per fare le antenne della farfalla! Ed ora seguite il blog hop e andate a vedere cosa ha creato la meravigliosa Angie! Spero il risultato vi sia piaciuto, come sempre per ogni commento, domanda , critica ecc ecc lasciate un commento! Alla prossima, baci e abbracci! Beautiful card! I love what you did with the metal sheets. 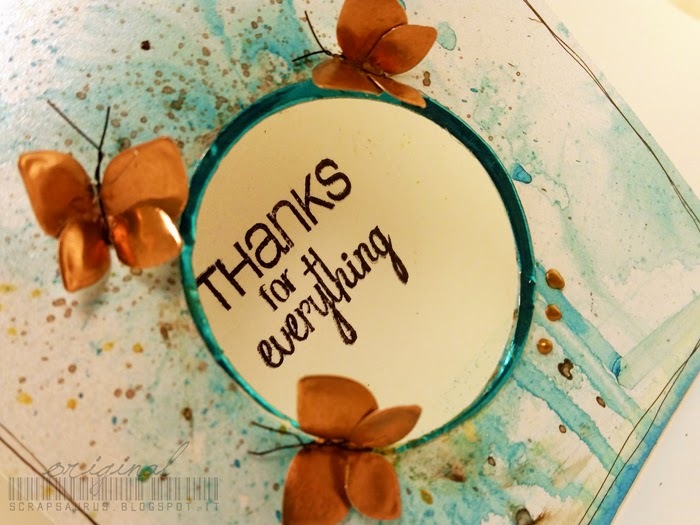 Thank you so much for using our craft metal sheets in this week's blog hop. Hugs! GORGEOUS! 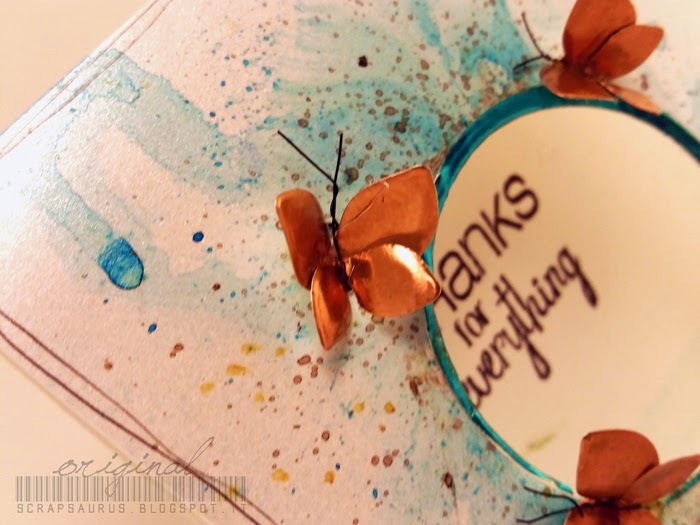 I love the touches of teal and the way you used the dies and metal sheets to create those fabulous butterflies!!!! Fantastic work! Absolutely CREATIVE!! I am loving your butterflies! You are rocking with these Fri-dies and metal sheets, Zoey! this 4-petal die is going on my shopping list. I've seen it used in several designs and it is so pretty. Love your card. So pretty. Beautiful card and clever how you made the butterflies. The butterflies look so neat! I love the window, too! oh my those butterfly's are beautiful!!! great card. love the background. THUD! Oh my gosh Zoey, your butterflies are incredible!! I can't believe you did that with those dies! AWESOME!!! It doesn't matter what language this card is in, it is just a beautiful card. What a GORGEOUS card; those metallic butterflies are swoon-inducing! Incredible creativity! OOOOOOOOOOOO! LOVE your butterflies! I now know that I MUST have the four petal flower Fri-die!! Such a genius idea!! Your card makes my heart flutter!! TFS! Beautiful! The butterflies are amazing! Super butterflies and I love the watercolor background! Your card is so cute! I love the idea to use the little flower petals to make the butterflies. I like how it turned out!! The metal butterflies are really cute, and I just love how you married watercolour and metal sheet together!! This is lovely. I am loving those butterflies! Such a stunning work of art! Gorgeous touch of metal that just "pops" off the page and love the paint for the background! Love the natural flow of your card, and the butterflies are amazing! TFS! Beautiful card. Lovely arty design. I love your butterflies - very clever idea. Che spettacolo di card! Adooooro le tue farfalle !